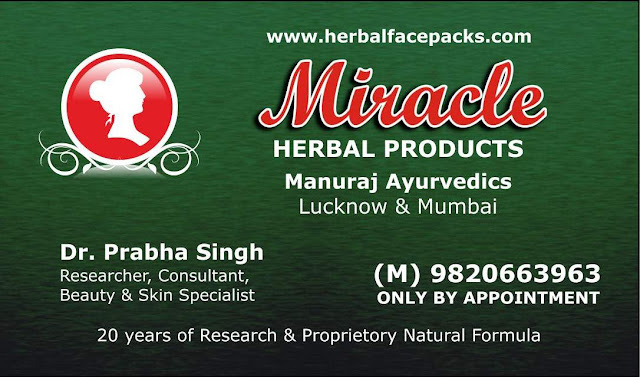 Dr. Prabha Singh of Manuraj Ayurvedics, Lucknow & Mumbai, makers of Miracle Herbal Products for Skin & Hair care. 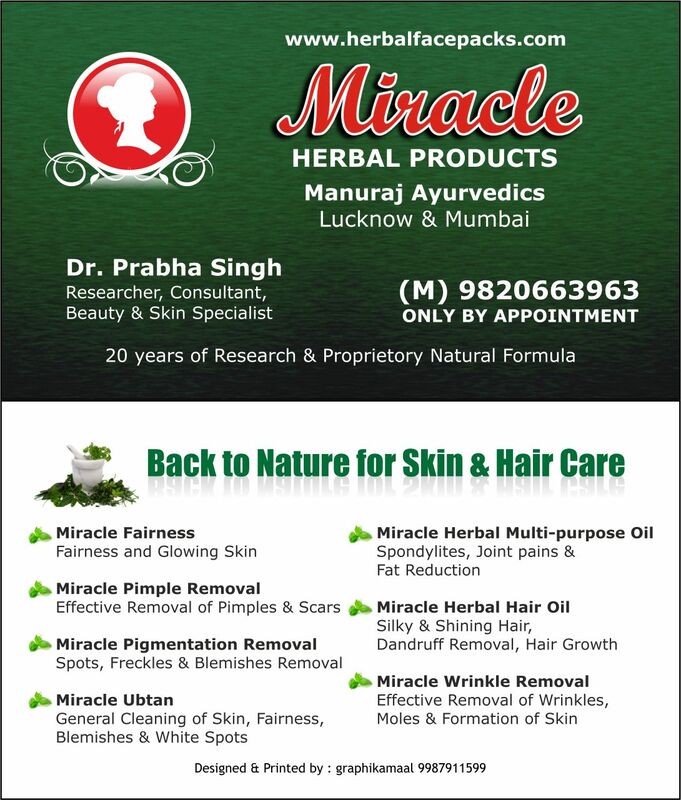 Dr. Prabha can be reached on 9820663963. 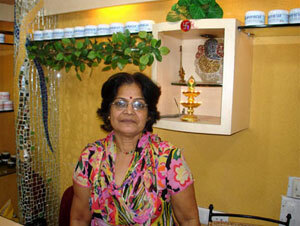 Thanks for sharing this interesting and knowledgeable blog.